My sister recently had a baby boy in the summer, so I'm always excited to get new products so I can spoil him with it! 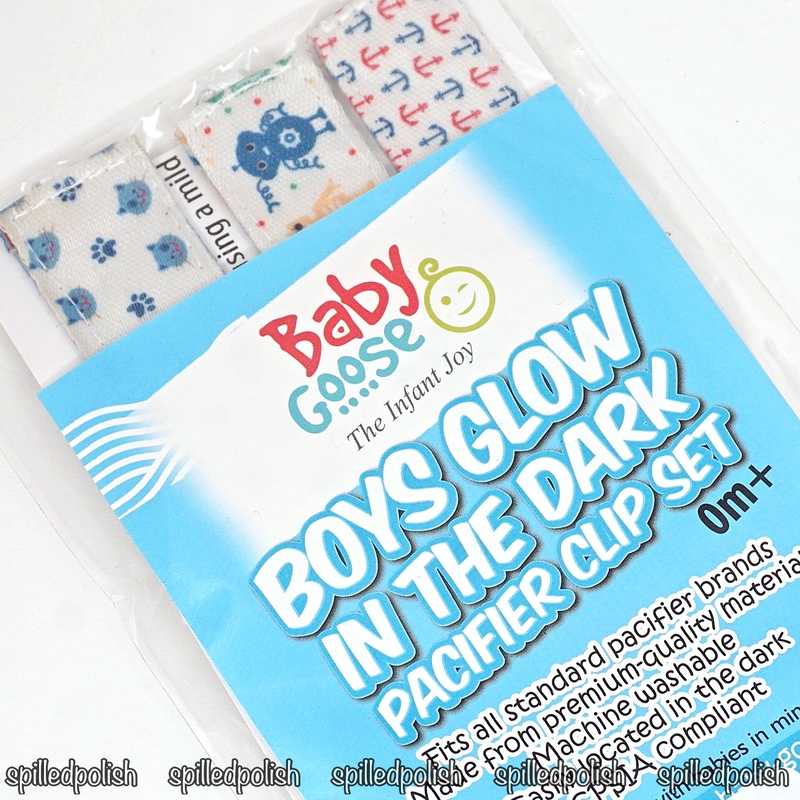 I received these Glow-in-the-Dark Pacifier Clips and am in love with the designs - they're adorable! 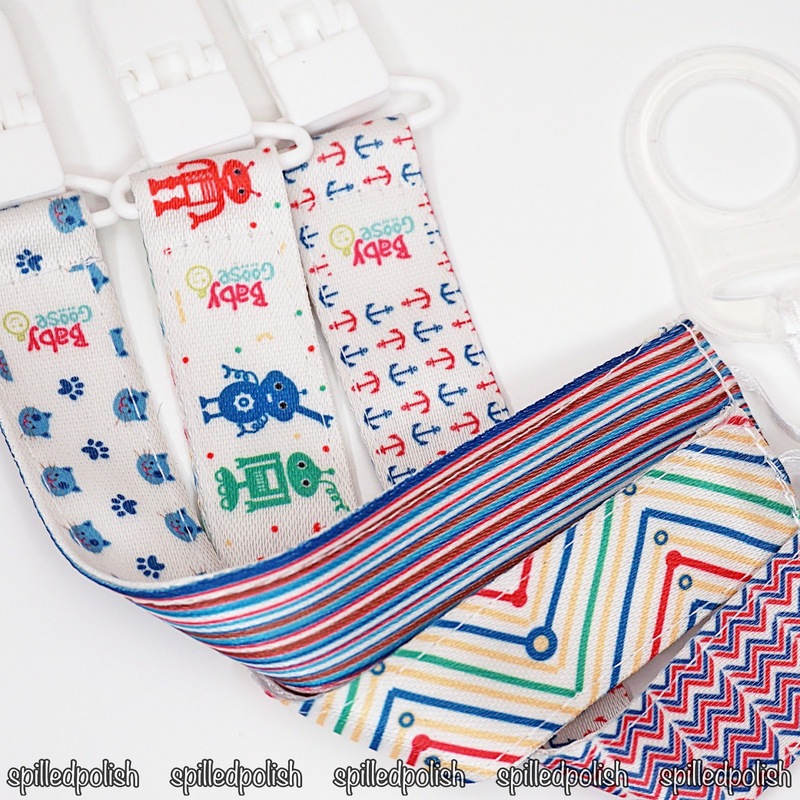 These pacifier clips include quick and easy to use adapter rings, which are just as easy to remove. They have no BPA, lead, or phthalates - so it's safe for your baby as well! And since babies are messy, each pacifier clip ribbon is not only double sided with different designs, but they are made of machine washable poly satin, so you can clean it up with ease! With me not even being a mother, I could still tell these pacifier clips were great quality. My sister and brother-in-law thought they were awesome and were so happy to receive them because their son is starting to spit his pacifier out at every chance. These will definitely help cut down the time looking for the pacifier as well as cleaning them (from falling on the ground). The glow-in-the-dark feature was also really helpful because turning on any lights would definitely wake the baby! You can find these Glow-in-the-Dark Pacifier Clips on amazon!